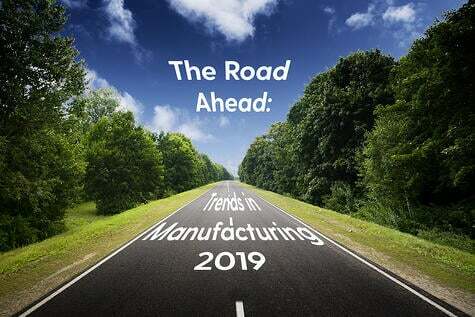 Search on the term “manufacturing trends for 2019” and you will be quickly buried in results. It seems that every vendor, consultant, analyst firm, and industry observer has got something to say about what should command your attention in the year ahead. What you’ll notice, if you start browsing through all these predictions, is that there is a lot of disagreement about which trends are going to have the most impact in 2019 and beyond. But, if we take a step back and consider the forest instead of the trees, two overarching themes prevail. First, there is a lot of convergence happening. Due in large part to the fact that data is everywhere across your organization, and that it needs to be unified for maximum value, manufacturers are finding that what were once disparate streams of technology – IT to support both front and back office functions, operational technology to run the shop floor – are converging into a single platform to unleash the power of data and create new opportunities for more speed and innovation. Second, the pace of transformation – driven as it is by rapidly evolving technologies, increasing competitive pressure, and stark market realities – is quickening. 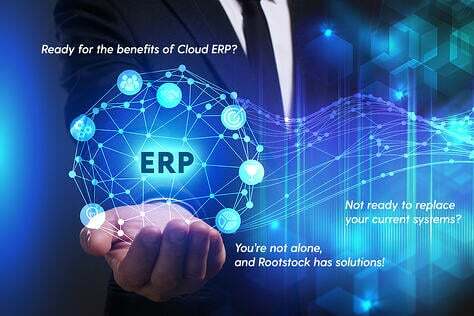 No matter what else you take away from this post, remember this: if you’re still doing business at the end of 2019 on the back of disconnected operational and legacy ERP systems, it’s very likely that you’re going to find yourself at a deep, growing competitive disadvantage. 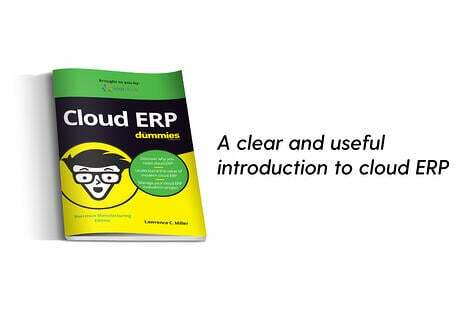 The time for thinking about whether or not you’ll adopt modern ERP has passed. The time for decisions and action is now. With that in mind, these are the 2019 trends we see as the most interesting and important. Trend #1: All roads lead to…data-driven manufacturing. The evolution and blending of traditional data-centric IT systems and operational technology has been happening for a while. But it became more pronounced in 2018 and will be a major trend in 2019. This convergence of IT and OT is how manufacturers are creating data-driven manufacturing processes that enable highly agile, customer-centric production. 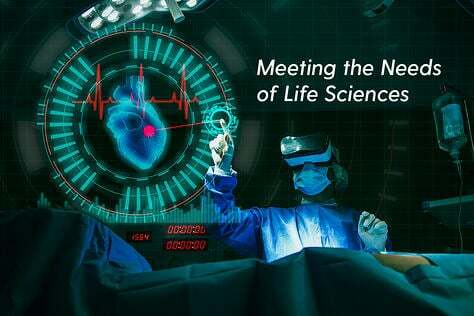 Other, related trends, such as the spread of remote sensors and the increasing speed and reliability of mobile connectivity, are enhancing and hastening this convergence. As a result, more manufacturers are deploying things like intelligent order processing and automated work streams. But, due to the simple and unavoidable fact that IT and OT systems were designed and built separately, and have always run independently of one another, there are challenges. For one thing, the integration of IT and operational systems calls for new forms of infrastructure, and new ways to think about data and IP security. Why? Consider the data that you generate in your production environment. Much of it is confidential, perhaps even proprietary. Traditionally, your OT system was closed to the outside world and the risk of a data breach was, consequently, small. 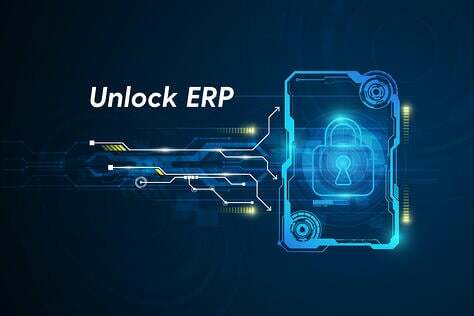 Once connected to your business systems, that data becomes significantly more vulnerable, especially if those systems are also connected to external partners. For some manufacturers, this data security discussion has another dimension: what to put in the cloud and what to keep onsite. 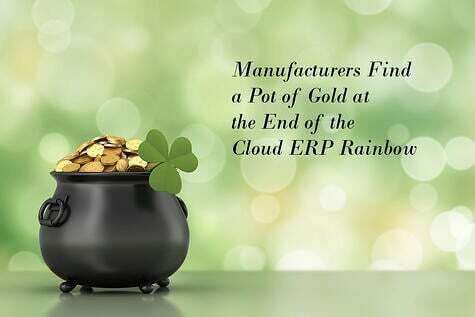 Even as manufacturers embrace a cloud ERP deployment, they are often hesitant to bring all their data there, thinking some types of data should remain in their legacy ERP systems or be kept somewhere else in their on-premises systems for security purposes. In our opinion, however, this is a false sense of security for two reasons. First, the need to connect operational systems to external-facing systems is only going to increase, increasing the exposure of operational data to potential hackers. Second, it is highly unlikely that the typical internal IT team can afford to match skills, resources and equipment with cloud providers for whom security is an existential issue. If they can’t keep your data safe, they can’t keep clients. Regardless of whatever concerns they might have, manufacturers are diving headlong into this convergence. A 2017 IDC study projected that manufacturers would spend $189 billion on IoT – a core Industry 4.0 technology and a big reason why manufacturers are generating so much more data – in 2018. That figure would exceed the IoT spending of every other industry. In the past, manufacturers have always held up engineering excellence and operational efficiency as important business goals. Achieve them with some consistency, and you could reasonably expect to be rewarded with good business results. Today, these things still matter but, from the perspective of your customers, they have become table stakes. Today’s customers have been trained, by their exposure to “the Amazon experience” (“I can get pretty much anything I want, I can get it fast, and I’ll find someone who can deliver it for the price I want to pay”), to expect personal service from every interaction. In response, an increasing number and variety of manufacturers are moving to differentiate themselves through services, not just products, by adopting “Manufacturing as a Service” and “Product as a Service” business models. They’re also looking at business models not typically associated with manufacturing. Concepts like on-demand services (think Uber), subscription box services (Birchbox, Stitch Fix), and the sharing economy (Airbnb) are sparking discussions about entirely new and innovative approaches. Fortunately, the growing presence of IoT technology, combined with broader cloud adoption, does much more than just improve current manufacturing business models. It enables the new models that are more customer-centric. Even OEMs are finding ways to put the end user – their ultimate customer – first. By using IoT data from sensors built into their parts, OEMs can better understand how the end customer is using what they make. This enables them to improve what they make, from the end user perspective. Thus, they deliver more value for the manufacturers they serve. The indicators of intelligent manufacturing – automation, data flowing unimpeded across your organization, incorporation of IoT, use of the cloud, elements of cognitive computing – are showing up in more and more manufacturing environments every day. We expect the move to intelligent manufacturing will be further fueled by the impending arrival of 5G networks, (with the potential to deliver download speeds of 10 gigabytes per second!) and increasingly ubiquitous connectivity. According to one report from IDC (“FutureScape: Worldwide Manufacturing 2018 Predictions”), 20% of G2000 manufacturers will have made the transition to intelligent manufacturing by 2021. (At first blush, that might sound like “the future,” but it’s just two years from now.) And those manufacturers will have distinct advantages over their “non-intelligent” competitors. IDC expects them to reduce execution times by 25%. McKinsey (“Smartening Up with Artificial Intelligence”) predicts that manufacturers who use machine learning – a form of AI – will slash supply chain forecasting errors by 50% and lost sales by 65%. Gartner predicts that AI, overall, will deliver $2.9 trillion in business value by 2021. And manufacturing isn’t the only thing being made smart. Intelligent supply chains are also beginning to take hold. They feature tight synchronization between supply, demand, and fulfillment, providing real-time visibility across supply chain and manufacturing processes, and a high level of collaboration. Results include improved forecasts, inventory optimization, and notable savings of both time and money. Trend #4: The new model of worker wants a new way to work. It’s a fact of business life that your workforce will age out and need to be replaced. In the past, when you said goodbye to one generation of machinists or assembly workers or inventory specialists, you found new ones and hired them to do the same job. The hiring situation you face today is entirely different. For one thing, good luck finding a machinist under the age of 35. Skilled labor is in alarmingly short supply. One forecast shows that manufacturers will seek to fill nearly 3.4 million jobs over the next decade. But two million are likely to go unfilled because of the skills gap. But holding on to older workers isn’t the answer, either. They’re unlikely to possess the digital skills or computing literacy your workforce has to have today. You’ve got to hire younger workers, who are digital natives. They’ve grown up with screens and they want to interact with their work environment in the manner that has become second nature to them; they want to swipe and tap, rather than mouse and type. So, as Baby Boomers (and even some of their older children) continue to retire in rapidly increasing numbers, the imperative for you is clear: create a work environment that will attract younger, digitally proficient, employees. Fortunately, what younger workers expect is also the workplace you need to create – digital, flexible, mobile-enabled, with intuitive user interfaces and appealingly designed applications – in order to remain competitive. You might consider how you can make your business more digitally attractive to employees. 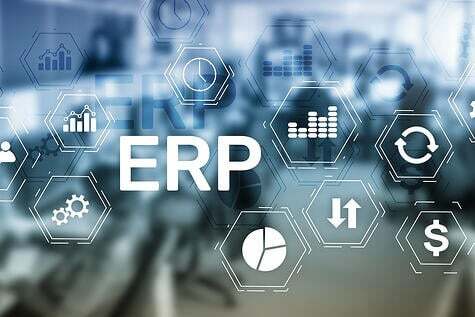 For instance, is it time to upgrade and modernize your ERP system? The sooner you take advantage of this fortuitous alignment, the better, because the competition for new workers is already tough, and will grow more intense as time passes. 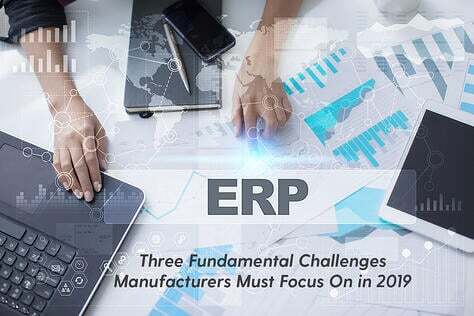 Want to discuss what’s coming for cloud ERP and manufacturing, in 2019 and beyond, with people who can help you make sense of it? Contact Rootstock today.